At Synergy Health & Rehabilitation, P.A., we take great pride in providing the finest care to our patients. Below is a sampling of the different services we offer. Dr. Freidson is one of a handful of practitioners in the state who is full body ART certified. ART is the treatment of choice for many elite athletes, weekend warriors and the average person suffering from musculoskeletal pain. ART uses motion to fix the problem by lengthening muscles while at the same time providing a specific tension to them. ART providers are trained to diagnose and treat over 400 structures. "I refer most of my patients diagnosed with soft tissue conditions to ART providers. ART provides my patients with an effective treatment, rapid recovery, and lasting results. My patients and I are grateful to our ART providers." Linda Silveira, M.D. Dr. Freidson is also certified in the Graston® Technique. This is an assisted soft tissue technique using patented stainless steel instruments. Dr. Freidson is one of 3 practitioners in the state certified in both Graston® and ART. Graston® instruments help restore function to acute and chronic injuries and pre and post surgical patients. Graston® Technique is used by more than 164 professional and amateur sports organizations. GT is utilized on-site by major corporations and is included in the curriculum of 48 respected universities. We provide chiropractic adjustments utilizing "state of the art" techniques. We provide gentle, specific and safe adjustments. We use diversified technique and motion palpation. As a Doctor of Chiropractic, Dr. David Freidson has years of training and experience in spinal and extremity adjustments. At Synergy Health & Rehabiliation, P.A., we teach our patients stretches and exercises to help correct their own unique problem. With the support of our rehabilitation specialists, Jenny and Scott , patients can begin learning execises and stretches can usually be performed in the comfort of your own home. Dr. Freidson majored in Kinesiology with an emphasis in Exercise Science at the University of Wisconsin in Madison. 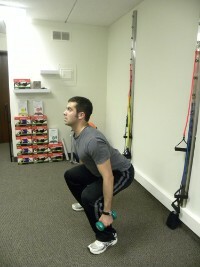 He first became a certified personal trainer in his final year at Madison. Dr. Freidson is a Certified Strength and Conditioning Specialist which is the highest certificate of personal training that one can obtain. He also learned up to date rehabilitative techniques in Chiropractic School. His background is perfect for giving you a perfect rehabilitation program. Dr. Freidson will also help you work around your injuries so you can still participate in the activities that you enjoy. KinesioTape is used primarily to speed healing and alleviate pain. It is also used to reduce inflammation, add stability and facilitate lymphatic drainage. Kinesio Taping made worldwide recognition in the last Summer Olympics when volleyball players Misty Mae-Treanor and Kerri Walsh wore it. KinesioTaping is used by medical doctors, physical therapists and occupational therapists and is worn by elite athletes in every major sport. Click here to find out more about KinesioTaping. Dr. Freidson is a CKTP, which is a Certified Kinesiotaping Practitioner. At Synergy Health & Rehabilitation, P.A. we have the technology to make custom foot orthotics for you. We digitally scan your feet and send the image to Foot Levelers, the company that makes our custom orthotics. Foot Levelers has helped alleviate pain for millions of people. Click here to find out more about Foot Levelers. The feet are the foundation of the body and we believe that imbalances in the feet often can cause imbalances throughout the body. Our orthotics are most popular with our patients who have low back, knee and foot pain. Have you ever woken up with neck, shoulder pain, or headaches? The custom pillows that we make for our patients often alleviate these morning symptoms. We spend 1/3 of our lives sleeping, making a good pillow so important. Because of that, Synergy Health & Rehabiliation, has partnered with Foot Levelers, a company that makes the world's only custom pillows. Foot Levelers has been making custom orthotics for the feet for over 50 years and their researchers helped design these unique pillows. 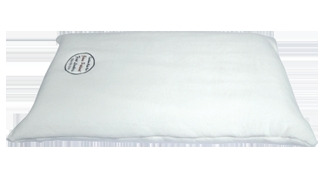 The custom cervical spine pillows are designed so that you are optimally aligned if you are a back or side sleeper. Before Foot Levelers started to make pillows, the best pillows only came in small, medium or large. Click here to read more on Foot Levelers' custom cervical spine pillows. "I was in a very bad car accident recently in which I was rear ended on the highway. My neck pain was so bad that I was having the most difficult time sleeping. Because of that, Dr. Freidson recommended I get a custom memory foam pillow. I am so happy that I decided to get the pillow because I sleep so much better because of it. It is the best pillow I have ever had! - Gloria March. But because you are a unique individual, you deserve to have a pillow that is unique for your body. Dr. Freidson can provide specific recommendations on nutritional supplements and healthy food choices to enhance our patients return to optimal health. Do you know which supplements and vitamins are good for you? Do you know how these supplements and vitamins interact with one another? Dr. Freidson can provide you with this information along with a structured nutritional program based on your individual needs. We can also structure a weight loss program for you if you desire.